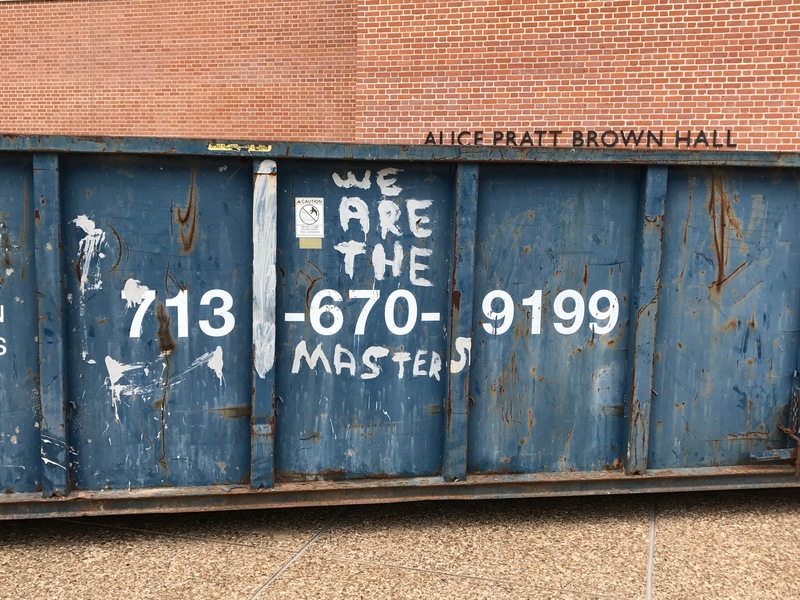 Bonus: We are the masters. I have to wonder if this at one of the first Baker Shakespearean festivals. I believe the first one was in the spring of 1971. 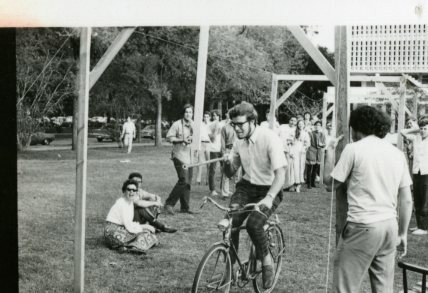 The location looks like it is in the Baker quad between baker and Will Rice. It looks like it’s a bicycle adaption of the modern sport of “jousting” — the State Sport of Maryland (http://www.marylandjousting.com/MJTAschedule.html) — in which persons riding horses spear small rings suspended from aches along a path/route. It’s definitely located in what was the Baker Quad, with Lovett and the former “new” wing of Baker in the background of the lower photo. 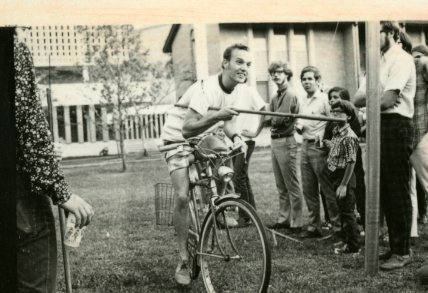 In the lower picture, Baker College student Charles Aarni is the second from the left in the line of spectators behind and to the right of the rider.